Legendary investors such as Leon Cooperman and Seth Klarman earn enormous amounts of money for themselves and their investors by doing in-depth research on small-cap stocks that big brokerage houses don’t publish. Small cap stocks -especially when they are screened well- can generate substantial outperformance versus a boring index fund. That’s why we analyze the activity of those elite funds in these small-cap stocks. 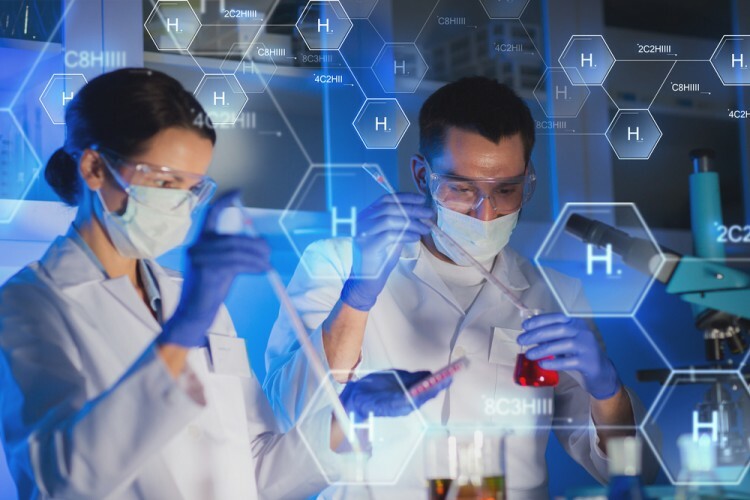 In the following paragraphs, we analyze Seattle Genetics, Inc. (NASDAQ:SGEN) from the perspective of those elite funds. Seattle Genetics, Inc. (NASDAQ:SGEN) was in 23 hedge funds’ portfolios at the end of September. SGEN investors should be aware of an increase in hedge fund interest recently. 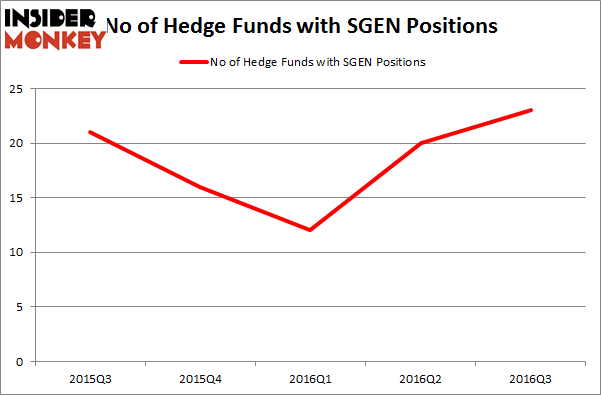 There were 20 hedge funds in our database with SGEN holdings at the end of the previous quarter. At the end of this article we will also compare SGEN to other stocks including Genpact Limited (NYSE:G), CF Industries Holdings, Inc. (NYSE:CF), and China Southern Airlines Co Ltd (ADR) (NYSE:ZNH) to get a better sense of its popularity. How have hedgies been trading Seattle Genetics, Inc. (NASDAQ:SGEN)? At the end of the third quarter, a total of 23 of the hedge funds tracked by Insider Monkey were long this stock, a jump of 15% from the second quarter of 2016, pushing hedge fund ownership to a yearly high. With hedge funds’ positions undergoing their usual ebb and flow, there exists a select group of notable hedge fund managers who were upping their holdings meaningfully (or already accumulated large positions). According to publicly available hedge fund and institutional investor holdings data compiled by Insider Monkey, Baker Bros. Advisors, managed by Julian Baker and Felix Baker, holds the biggest position in Seattle Genetics, Inc. (NASDAQ:SGEN). According to regulatory filings, the fund has a $2.38 billion position in the stock, comprising 21.6% of its 13F portfolio. On Baker Bros. Advisors’ heels is Redmile Group, led by Jeremy Green, holding a $96.2 million position; the fund has 7.7% of its 13F portfolio invested in the stock. Some other peers that hold long positions comprise Ken Griffin’s Citadel Investment Group, Dmitry Balyasny’s Balyasny Asset Management, and D E Shaw.